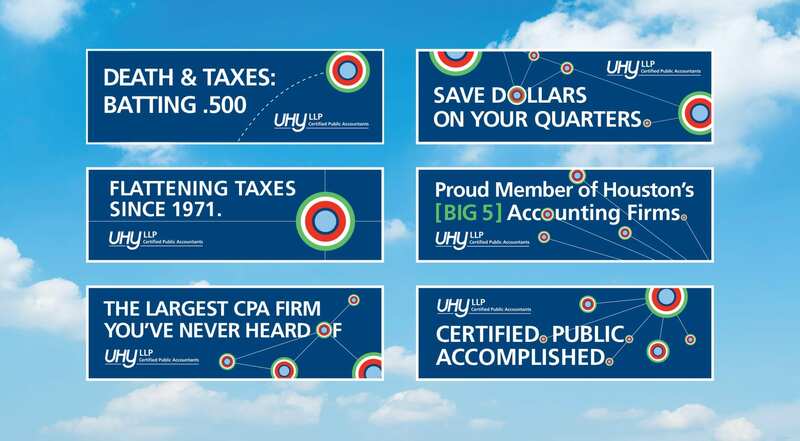 Worked with UHY to produce billboards strategically positioned throughout the Houston metro area. With their clever headlines, they were a great success. On at least 30% of measured sales calls and market encounters respondents mentioned seeing the billboards.